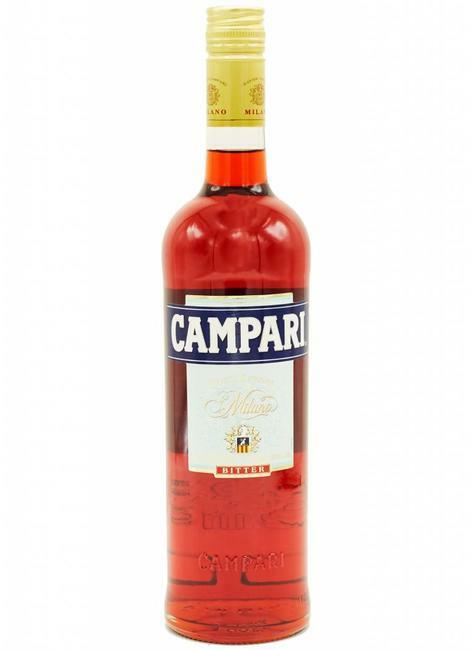 Campari is an alcoholic spirit obtained from the infusion of bitter herbs aromatic plants and fruit in alcohol and water. Vibrant red color, intense aroma and inspiring flavor. The history of Campari began in Novara in 1860, with the invention of the original recipe that is still in use today.In 1904 Campari's first production plant was opened in Sesto San Giovanni and the company began to export the brand overseas.It was the beginning of a success story that today still has no sign of stopping.Today the Campari brand is distributed in over 190 countries and is one of the most famous brands in the world.